I think I was mostly commenting on the fact that I find MY tasting notes kind of boring. A tasting note in the hands of a good writer, even if it pertains to a somewhat plebeian or ubiquitous beer, can be wonderful reading. But when you do a Podcast at 11pm on St. Patrick's Day, coherence and clarity aren't exactly guaranteed. Thanks for listening and for your excellent posts. I've enjoyed following your blog over the past few months! I enjoy reading tasting notes! As a regular reader, rest assured that I enjoy reading your impressions of a beer, and have even sought out stuff based on your recommendations. Barley, I certainly didn't take any offense or anything... Indeed, I've definitely run across some sites that are really boring because all that's posted are beer reviews with little to no context. And there are other sites, like say, Vice Blog, which have tasting notes surrounded by other excellent content. I would put myself somewhere in between those two poles. Thanks for the kind words though, it's much appreciated! I really enjoy your podcast too (and your blog, for that matter) - it's actually one that I look forward to every week now. Foucault (or Paddy - Can I call you Paddy? ), I'm glad you like them, and I certainly don't plan to stop. But I do want to provide more context around the beers I drink. It ends up being a more edifying experience for me, I think, and I would hope, also for the reader. As I mentioned in the post above, this sort of pattern is typical for me. I start small and then eventually get more and more detailed as I get into the subject. 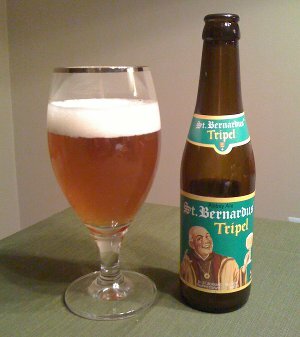 Everything I've had from St. Bernardus (and I've reviewed 7 of them on the blog) has been really good. The worst one was probably the Wit beer, but that's kinda par for the course - and for the style, it's quite good. Ergh, I'd prefer if you didn't. I've let exactly one person ever call me "Paddy" and he was a WWII veteran, who I figured could call me whatever he wanted. But yes, context. I think you offer good context, even if it's "I watched this movie with this beer." I always try to have at least some context, or some kind of "hook" to write in addition to my tasting notes for either Scotch or tea. Sometimes I am successful, sometimes I feel like it's "this tastes like this." In fact, I'm sitting on a review for a great Scotch because I haven't found an angle or hook to take the review past "this tastes like this." It's tough, but no one ever said good writing was easy. But rest assured, if you keep writing, I'll keep reading, and I can only hope you'll reciprocate! Thank you for the kind words! I struggle taking a review beyond tasting notes sometimes, but I don't worry about it too much. Some of my posts are probably better than others, but it's all fun to write, or I wouldn't keep doing it! This page contains a single entry by Mark published on March 19, 2011 8:08 PM. 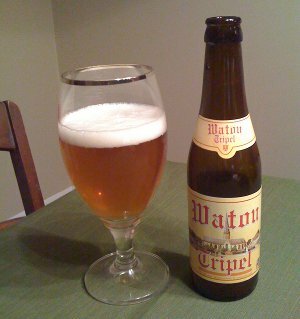 Belgian Beer Roulette and Maredsous Dubbel was the previous entry in this blog. Allagash Black is the next entry in this blog.